Ben Vautier is an abbreviation for Benjamin Vautier. The artist is mostly known as Ben. 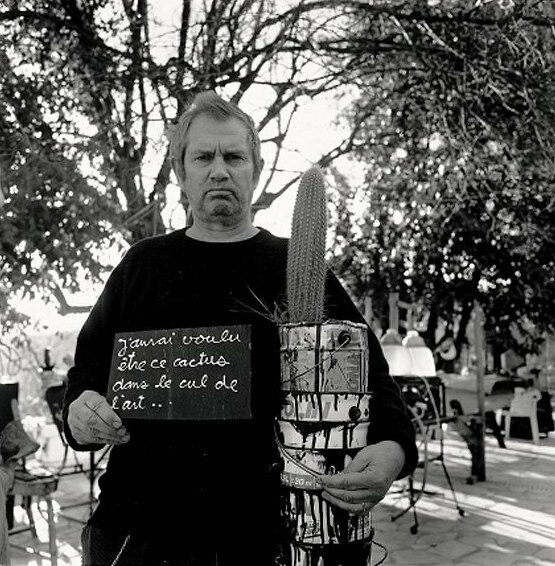 He is a French representative of the Fluxus movement. He uses language as his main medium. The best known signature of the artist are black canvases with white written texts on them. Nevertheless, his work is much more diverse with assamblages where vehicles and built constructions are used.